On the evening of 7 June the 2017 Sandford St Martin Awards were handed out during a gala ceremony held at Lambeth Palace. 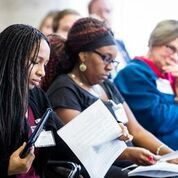 Again this year, the Trust had the honour of hosting some of the most talented programme-makers, broadcasters and journalists engaging with the subject of religion, belief and ethics in the UK today. 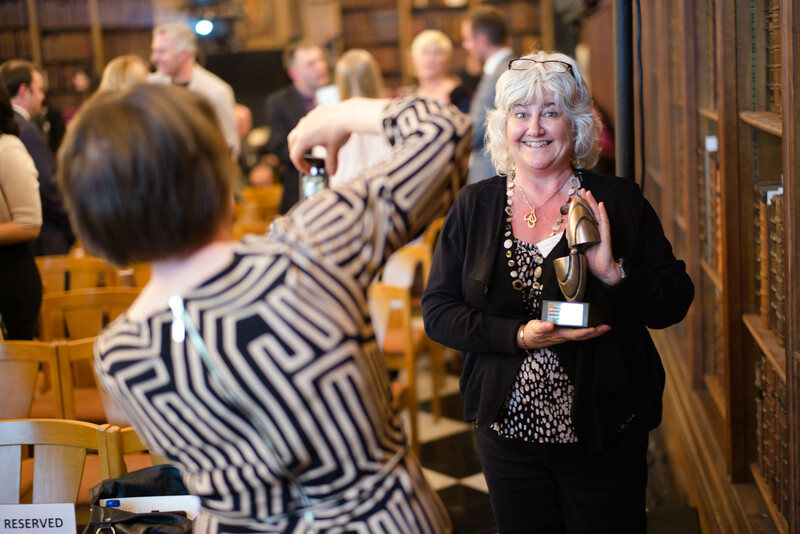 Among them was the TV producer and writer Angela Graham who has written about the Awards in her blog. The Sandford St Martin Awards made me greedy. How could they tempt me with such a rich list of nominations and not expect me to want to indulge in all of them as quickly as possible! Marian Partington on forgiving Fred and Rose West who killed her sister, or the great Marilynne Robinson on Fear, both in the Interview of the Year shortlist, or ‘Muslims Like Us’ with its reality-tv take on a major faith’s diversity and unifying core or, ‘The Selfless Sikh’ about a faith impelling humanitarian action … Could you blame me for wanting to absorb them all straight away? Despite the range of topic and approach across the 30 finalists there is a prominent common factor, and it’s what makes the line-up such an attractive one: engagement with why people are making particular choices; helping or damaging others; living as they do. The programmes examine not only who’s doing what, when and where but the deep motivations that push them to grapple with the tangibles and intangibles of life. Such interrogation is not confined to Religious Programming but this genre steps out into that intriguing area of an individual’s relationship to a Being or a Universal Agent and the ramifications of that for a person’s relations with others: the religio part of religion, the One with the Many. And the Absolute – it takes that on too. The truths we live by appear to be increasingly various. Even those who live within the parameters of the most established of creeds must attend to a multiplicity of belief positions around them. I will definitely be looking out for the radio documentary, ‘Canada’s Atheist Minister’ (BBC Production North for BBC World Service) which offers insight into the experience of a pastor who found herself delivering a sermon in which she stated that she didn’t believe ‘in a God who answers prayer’ or fulfil many of the requirements usually expected of a deity and certainly not a Christian one. Radio can put me in touch with this fascinating experience. I’d say it’s easier to get below the surface of atheism in Britain via the media than in face-to-face encounters. There is a substantial amount of ecumenical and inter-faith activity but far fewer opportunities for dialogue in depth between those of religious faith and those without it. This is the Cinderella dialogue in my own Church, the Catholic, despite encouragement from the Vatican. Several years ago I trialled such an encounter group in Cardiff, calling it Meaning To Live because that name seemed to me an indication of the common ground. I don’t think we hit on the perfect methodology but we found a way to have the sort of open, mutually respectful, willing-to-learn, robust conversation we hadn’t found the opportunity to have anywhere else. It concerns me that we don’t have many arenas in which we can examine belief in the sense wider than, but including, the religious. This is one reason why the media are so important and why it’s equally important to provide media professionals with the tools to handle issues of belief and faith well. On the Sandford St Martin site are two blogs I’ve written about an initiative for journalists run by the training arm of the NUJ in Wales. 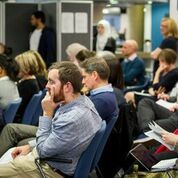 This aims to give journalists access to expertise and resources which can enable them to improve their coverage of news and current affairs that have a religious or belief aspect. In Wales, until I gave a modest class on the subject this January at Cardiff University, no School of Journalism had offered any teaching at any level on religious literacy and, before these workshops, there was nothing on offer for professionals either. I’m glad to say the interest has been significant and we’re in discussion about a third event. The profile of religious literacy is rising and, as it does so, critique of justification for it and of its worth relative to that of sociology is needed. Prof. Adam Dinham’s work at Goldsmith’s is prominent. His book, Religious Literacy in Policy and Practice Bristol: Policy Press Dinham A & Francis M (eds) (2015) is essential reading. It’s good to see the current BBC review of its Religious, Ethics and Philosophy programming under Mark Friend. If the Sandford shortlist is anything to go by, it’s the PSB BBC that is doing the heavy lifting in these fields. As a broadcaster in Wales it was an especial pleasure for me that the Radio Award was won by ‘Aberfan 50 Year Anniversary’, a programme within the long-running, weekly religious affairs series, ‘All Things Considered’. Director, BBC Cymru Wales, Rhodri Talfan Davies tweeted last night, ‘Quality counts − a superb team who deliver each and every week’. They certainly do. Producer, Karen Walker and Presenter, Roy Jenkins are ‘modest beyond’, as the Welsh say. Karen would never tell you that the walls of her office are invisible beneath the array of awards acquired over the years. Now they have a trophy to find a spot for. 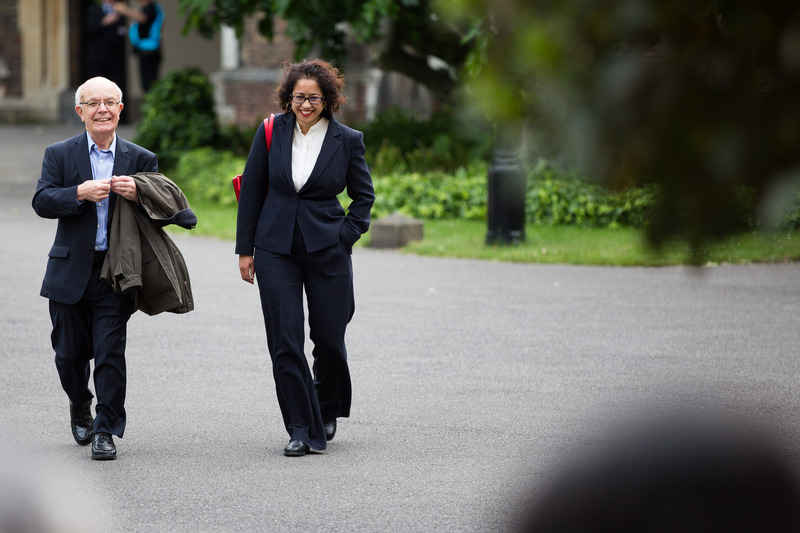 Rev Roy Jenkins with fellow broadcaster Samira Ahmed arriving at the Sandford St. Martins Awards 2017 held at Lambeth Palace. For a full list of the 2017 Sandford St Martin winners click here. Given current geo-politics and the nature of conflict and social strife across the globe, religious literacy has become more important than ever – and journalists and broadcasters have a key role to play. Because religious literacy is not only an understanding or familiarity with religious texts or practices, it’s also an understanding and appreciation of how people’s beliefs or religions shape their politics, their communities, their relationships and their hopes for the future. And so for journalists, if you’re lacking the tools or experience to understand the role religion or belief plays in human affairs, you’re unequipped to properly understand or communicate to your audience what the story is. Religious literacy matters. Increasingly so. 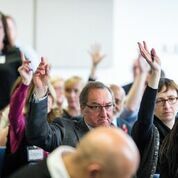 In Wales, NUJ Training has been energetic in helping journalists engage with belief (and in helping belief communities to engage with journalists) by offering participants expertise, resources and the opportunity both to examine their own personal viewpoints while honing their professional skills. In November 2016, two young Sandford St Martin interns blogged for us about “When Religion Makes the News” the first NUJ Training workshop held with ITV Wales. 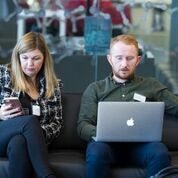 Below the Welsh journalist and trainer Angela Graham, writes about their latest event “Reporting Belief 2017” held in May. This blog was first published on the NUJ Training Wales website and is reproduced here with their kind permission. What a day! At Reporting Belief 2017 on May 10th (#RB17) two ‘communities’ who often clash − journalists and ‘believers’ – came together to understand one another better. Of the 88 people who attended, 44 were journalists from press, broadcast and online media. An immediate, ground-breaking result is ITV Cymru Wales’s offer to do a series of feature reports of around 3 minutes on their nightly news show Wales At Six on a range of belief groups in Wales over a period of around a year. In the context of the BBC’s current review of its output in Religion, Ethics and Philosophy this commercial broadcaster’s imaginative initiative – beyond the terms of its licence − raises the profile of belief on English-language TV in Wales at a stroke given the scant provision by BBC Cymru Wales of English-language factual TV output in these areas. But this was a day focused on news, and on quality of engagement rather than breadth of output. Reporting Belief 2017, held on 11th May at BBC Cymru Wales’ Cardiff centre, followed on from When Religion Makes the News (#ReportingBelief16) last November, a workshop for journalists and representatives from the spectrum of beliefs and ideology in Wales about religious literacy and the reporting of belief. At #RB17, representatives of religions, and of belief systems such as humanism, shared with journalists ways in which they feel misunderstood and misrepresented; journalists, in turn, explained their frustrations with belief communities who don’t engage well with the realities of the media. This was a bold example of collaboration to address a challenge that affects us all: how to understand those who are not like us, in this case in the area of faith and belief. The mutual willingness to overcome these gaps demonstrated a readiness for a new kind of relationship. There can be no doubt now of the appetite for training and resources – journalists need input which helps them both understand the complexities of belief (whether religious or secular) and the journalist’s role in interpreting the effects of belief on society; ‘believers’ need opportunities to learn how to engage productively with the media. How can such training for journalists be resourced and provided? A case is building for universities in Wales to bring religious literacy into the curriculum for journalism courses, at least at post-grad level. Cardiff University School of Journalism, Media and Cultural Studies is ‘actively discussing’ this option. But it is essential, in such training, to have objective expertise in religion and belief that is independent of institutional or credal claims. 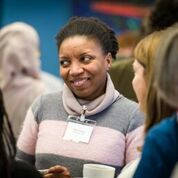 There is a pressing need for research related to Wales, currently under-represented in resources in this area. Media organizations themselves can examine the adequacy of their in-house training. The day began with a session for journalists: Muslim Communities – connecting with the grassroots. Three experienced BBC journalists offered best practice advice, chaired by Dr Michael Munnik from the Centre for the Study of Islam in the UK at Cardiff University. Sajid Iqbal, a senior broadcast journalist with BBC News in London, advised, “If you don’t understand Pakistan you don’t understand the Muslim communities in Britain.” Muslims of Pakistani origin represent the largest single ethnic group among Muslims in the UK. He recommended getting to know the networks of Pakistani journalists in the UK, explaining that many are not full-time but are resourceful and well-connected at local levels, aspiring to do good journalism. “Stories come from relationships”, he said. The centrality of relationships was a mantra throughout the day. Innes Bowen is the author of Medina in Birmingham, Najaf in Brent: Inside British Islam, about the networks behind the UK’s mosques. She is in charge of investigations at BBC Newsnight. She encouraged journalists to make good use of their personal strengths to create connections widely with people. She is “into analytical journalism, the detailed stuff” and this had led her to spot novel angles such as a story about the inadequacy of the census returns concerning Somalis which led to them being under-represented and their interests under-funded. But, she stressed, this needs to be supported by a willingness to invest time with people, to spot a story in what, at first glance, appears to be a Public Service Announcement. A lively plenary session followed in which the broadcasters’ records on diversity and portrayal were challenged, as were some of Innes Bowen’s statistics about the managements of mosques in Wales and inferences that can be drawn about the denominational allegiances of worshippers from those of mosque management committees. This exchange underlined the need for both open fact-sharing and discussion of perceptions and experience. Emma Meese and Matthew Abbott of Cardiff University’s Centre for Community Journalism (C4CJ) delivered excellent afternoon workshops on social media use and the writing of press releases. This was an event full of variety and of life. The ‘believers’ who attended, whether religious or secular, are engaged with living meaningful lives; journalists thrive on the vital, the real, the now. Above and beyond the frustrations with each other is a common desire to communicate things that matter. The NUJ Training Wales website will shortly add to its religious literacy resources some additions arising from the day. The event was free due to NUJ Training Wales’ funding from Welsh Government and support in kind from BBC Cymru Wales and C4CJ. Currently, the NUJ is exploring funding sources to continue this important, innovative work. Feedback from the event shows an appetite for greater in-depth encounter between journalists and believers. Beyond News, the ways in which broadcast genres engage with Religion and Belief, Ethics and Philosophy (via news, current affairs, documentary, factual formats, drama etc) across radio, TV and online require careful distinction and consideration; as do the claims of these areas within a Public Service Broadcasting and a Commercial media menu. But that’s another chapter in the story. Whether it’s understanding the difference between Sunni and Shia, the background to claims of anti-Semitism in UK politics, or the popularity of “hate” preachers in the US and how they contributed to the rise of Donald Trump, religion plays a key role in many of the biggest news stories of our times. And so it goes without saying that modern journalists need to be religiously literate and aware. On November 8th, Sandford St Martin trustee Roger Bolton chaired an NUJ Training/ITV Wales workshop for journalists: ‘When Religion Makes the News‘. This was a workshop and networking event for journalists and media representatives from various faith groups and the aim was to promote religious literacy by offering participants expertise, resources and the opportunity both to examine their own personal standpoints while honing their professional skills. “Religion is the single most important factor in our identity.” These were the bold words of Dr Jenny Taylor, CEO of Lapido Media, Centre for Religious Literacy in Journalism. Whether you believe that to be true or not, you can’t argue with the fact that religion ultimately determines why people think and behave the way they do, even subconsciously. Broadcaster Roger Bolton, who chaired the event, made the clear statement that you can’t understand the UK without knowledge of Christianity in this country. Prior to attending ‘When Religion Makes the News’, organised by NUJ Training Wales, I knew that it made sense to know a bit about the religion you were broadcasting about, but as the day went on, I quickly realised how ignorant and naive I was to not realise that to report accurately, “we need a much more sophisticated understanding of faith” (Roger Bolton). As the day progressed, both journalists and faith representatives heard from Media Representatives from three Abrahamic faiths and we were educated about Muslim life and communities in the UK by Innes Bowen, author of ‘Medina in Birmingham, Najaf in Brent: Inside British Islam’, and Hussein Kesvani, Head of Communications at Theos Think Tank. Who knew there were so many different branches of Islam present in the UK…? Such a simple, yet important, piece of unknown knowledge to many. What was very enlightening was the “opportunity for self-scrutiny” that was given to the Journalists and Media Academics in an afternoon workshop. Regardless of religious beliefs, we all have a somewhat innate bias and a belief that can shape the way we report or perhaps what we even choose to report. “The Catholic Church is always so out of touch with reality…It’s not rocket science that condoms will stop the spread of AIDS in Africa” some may say. But research the communities a little deeper and remove your bias against the “out-of-date Catholic Church”, and you’ll realise that due to cultural practices and many other factors, not just the absence of condoms, AIDS is being spread. Not only do journalists show a lack of research when they fail to report accurately, we do injustice to those we are reporting to. To round off the day, we heard from Aaqil Ahmed, Head of BBC Religion and Ethics, and Dr Michael Munnick, Centre for the Study of Islam in the UK. Dr Munnick covered areas such as Political Correctness, Religion in a Secular Society and Understanding what Motivates Religious People. The event was such an eye opening experience about something that should be such a given. If you’re going to report accurately about a football team, its players and the way they are playing, you need to have real background knowledge about the history of the team and their players, to do a good and honest job. So why don’t we do the same when it comes to reporting about people and society? After all, you cannot separate belief from society. Along with politics and money, religion has been deemed an unseemly conversation topic at the dinner table. Within journalism, however, money and politics seem to be welcomed enthusiastically at different sort of tables. These tables are the newsroom desks staffed with dedicated political and economic news editors. Despite the inestimable value billions around the world place on their beliefs, and the role religion plays in shaping domestic and foreign affairs – constructive or otherwise – religion is treated, at times, like a distraction from the ‘real’ stories and is therefore downplayed or side-lined – denied a seat at the news desk. This is not to say that news or current affairs does not – to cite a former political press officer – “do God”. They do. The BBC’s commitment to religious programming testifies to that. But religion specialists argue that all journalists, where necessary, should have a deeper understanding of the role religion plays in global and domestic affairs, and also in individuals’ personal lives. On Tuesday 8th November 2016, the National Union of Journalists in Wales and ITV Wales took on the challenge to promote religious understanding among journalists. The media organisations hosted “When Religion Makes the News” – a one day event held in Cardiff bringing together journalists, representatives from faith communities and broadcast researchers, like my myself, to promote religious literacy. Roger Bolton chaired the event and in his opening commented that religion was often viewed as an “embarrassment” in society. He suggested that maybe this modern-day puzzlement over religion and those who hold religious beliefs had filtered into news reports, with some mainstream media stories bordering on ignorance when tackling religious issues. 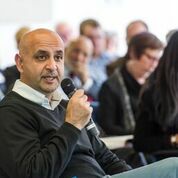 Following Roger’s thought-provoking remarks were a series of sessions jam-packed with engaging and informative advice, including a Q & A with the former BBC Head of Religion and Ethics, Aaqil Ahmed. The day also featured valuable networking breaks. Highlights of the day included a session delivered by Dr Jenny Taylor, previously CEO of religious literacy organisation Lapido Media. She stressed that when journalists engage with stories of a religious nature, they need to be on guard to avoid feeding into the “dominant discourse” and perpetuating religious stereotypes. It’s imperative, she said, for news stories to reflect religion with all its “complexities”. Press officers from Christian and Jewish faith groups revealed the challenges they have faced when attempting to engage journalists in stories related to their respective communities with reporters appearing to show interest only when the story might impact negatively on the faiths’ adherents. However, Maggie Doherty spoke on the positive media coverage she’d received for The Catholic church in England and Wales’ “The Art of Dying Well” campaign, a digital revamp of the fifteenth century manuscript, Ars Moriendi. 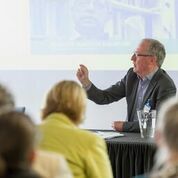 Attendees were treated to a fascinating talk by Innes Bowen, Current Affairs Editor for BBC Radio 4 and the World Service, on the Muslim communities residing in Wales. 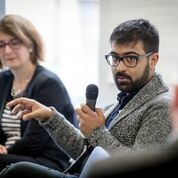 Former Buzzfeed journalist Hussein Kesvani, now communications consultant at religious think-tank Theos, delivered a detailed and fantastic talk on his experience covering religious affairs, particularly within Muslim communities. He urged journalists to look beyond reporting clichéd stories on Islam, not in aid of some kind of re-balancing exercise, but because they’d find powerful stories within Muslim communities. The last session of the day was led by Dr Michael Munnik, a former religious correspondent on Canada’s public radio. His talk was targeted at journalists hoping to, or, currently covering religious affairs. For faith communities to trust and support news stories on religion, he said, journalists need to gain the trust of faith communities and “become a safe pair of hands”. Not being a reporter myself, the most revealing contributions derived from journalists who were not religious correspondents. What came across loud and clear was their willingness to fully engage with the religious dimensions of their stories – unfortunately practical factors, such as deadlines and limited resources, sometimes mean it’s a challenge to explore those stories’ religious elements extensively. Rather than denying religion a seat at the table, it seems journalists, despite wanting to, don’t always even have the time to look for a chair. You can find out more about When Religion Makes the News by reading blogs from organisers Angela Graham and Anna Wynn Roberts. 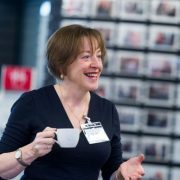 And our thanks to Natasha Hirst @HirstPhotos who took the photographs of the event attached to this blog. You can find out more about her work here. On March 18th, Dame Ann Leslie, Roger Bolton, Professor Steven Barnett and Myriam Francois-Cerrah gathered to discuss one of the hottest issues in journalism today in front of a sold-out audience at London’s Groucho Club. Edward Stourton, presenter of BBC Radio 4’s Sunday programme, chaired the lively debate in which the panelists argued over the importance of religious understanding in reporting world affairs, and, fielded questions from the audience. 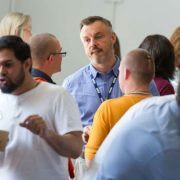 The event – co-organised by the Sandford St Martin Trust and the Media Society – was described by Roy Greenslade in his Media Guardian blog as “one of the most illuminating Media Society events I’ve ever attended”. The BBC journalist Cathy Loughran was there and wrote about it the following day. This blog originally appeared on the BBC College of Journalism Blog. Increased religious ‘literacy’ among predominantly liberal, secular media types would be a good thing. Agreed? Well, yes, but from then on the panel at Wednesday night’s Media Society/Sandford St Martin Trust debate about journalists and religion largely parted company. Hosted by the Groucho Club in London’s Soho and titled Damned if You Don’t? Why Journalists Can’t Afford to Ignore Religion, this was a packed and pretty feisty affair with an enticing line-up. 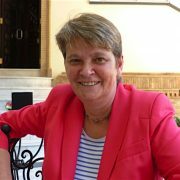 For Ann Leslie (pictured above), a failure by journalists (and governments come to that) to grasp the “centrality” of religion to millions of people’s lives had led to serious misrepresentation of world-shaking events like ‘the Arab Spring’. “We have an allergy to religion in this country… and we misreport,” she said. That had happened first in Tunisia, where the catalyst to ‘the Arab Spring’ had been viewed by the press as religiously motivated when it had really been a protest against corruption – and then again in coverage of the aftermath of the Egyptian uprising when the UK media had been blind-sided, she said, by the election of the Muslim Brotherhood. Myriam Francois-Cerrah’s pitch also called for more clarity: it was as important to r ecognise what isn’t about religion as what is. And in the Arab world, for instance, where there were many socio-economic motivating factors, religion was often “by the by”, she said, or else used as “a rallying cry for people power”. There was a tendency for journalists to look at religion “through a reductive lens”, resulting in some “facile explanations… that avoid picking apart the roots of conflicts”. Suicide bombing was a case in point, the New Statesman columnist argued: wrongly conflated in the media with religion when it was more likely to be about territorial protest. She was critical of a “binary” focus that over-simplified a lot of reporting. It was simplistic, she said, to represent the Charlie Hebdo attack as either just about religion or just an assault on free speech – tantamount to saying 9/11 was an attack on US banking, ignoring the much wider context. And she took issue with what she saw as an outbreak of media breast-beating about young people running away to join Islamic State: “When we discuss theology we miss more substantive points. What [persuades] young people to join IS? What about gangs? What about cults?” There was an assumption there about “Islamic exceptionalism”, she believed, and that was “problematic”. A direct quote from a passionate Roger Bolton who hit out at the “inadequacy” of “a liberal, secular, metropolitan group” of journalists who “don’t understand what motivates great sections of the population”. The unnamed broadcaster who described FGM as “a Muslim practice” was especially shaming, he said. Understanding the role of Christianity in the history and culture of Britain was critical to understanding the country we live in, and so explaining some of that, with authority, should be “at the heart of what we do” as journalists, Bolton argued. Separating religion from politics and history was “ridiculous”. He saw the main broadcasters as “under-powered”, taking aim at BBC News for not having an editor for religion who could be its centre of expertise, comparable to the BBC editors for science, arts, politics, sport and more. “We can’t do our jobs unless we tool up,” he said. A quick about-turn from Steve Barnett. He certainly wasn’t against greater understanding of anything, including religion – “it’s knowledge”. But journalism was “a zero sum game” and news organisations could only prioritise a certain amount of specialist roles. Besides, the University of Westminster professor had other ideas. A dearth of constitutional correspondents was “more dangerous than not understanding religion”, he ventured. And what about a journalism specialism in drugs. The rise of IS and the rise in anti-Semitism were “huge questions” globally that called for some religious knowledge on the part of journalists, he conceded. But they were ultimately “political” stories, in the way that the Troubles in Northern Ireland had been about politics and oppression more than Catholics and Protestants, he told his very engaged audience. Damned if you don’t? Not quite the Barnett formula. Rini on Songs of Praise or Call the Midwife? Is religious broadcasting about doctrines or doing good?